Earlier this year we got the chance to interview designer Mali Romeo. Her clothing line, MÚS by Mali Ro, is a contemporary womenswear line that exudes minimalistic chic for the modern woman who wants to stand out. She partnered up with us to give our readers one of her signature MÚS by Mali Ro skirts. The colorful striped skirt is for the bold woman who wants to make a splash. 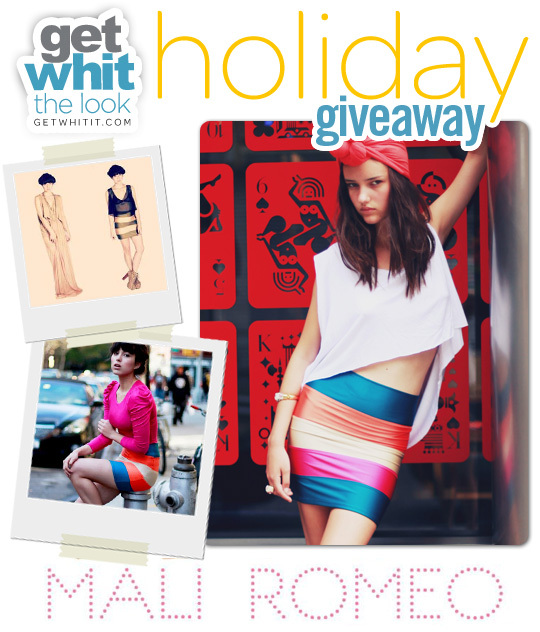 One person will be selected to win the skirt in their size. In order to enter, it is required that you are signed up for our newsletter and also answer a question relating to our past interview with Mali Romeo. As always, you can get extra entries by connecting with our social media links. Good luck!